Afghan War Blog: Is Peace in the Air for Afghanistan? Is Peace in the Air for Afghanistan? 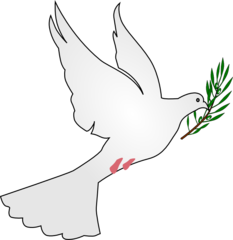 In the past few months there have been several initiatives for peace in Afghanistan. First there was the 'Taliban letter' to the American people. President Ghani then followed up with his peace initiative during the Kabul Process. In mid-March U.S. Secretary of Defense Jim Mattis flew to Kabul for discussions on the overall security situation and current prospects for peace negotiations. Read some recent articles on this topic. March 16, 2018. "A peace deal with the Taliban would be pure folly", by Sandeep Gopalan, The Hill. March 14, 2018. "The Folly of Peace Without Victory in Afghanistan", Conservation HQ. March 13, 2018. "Mattis in Kabul: We look toward a victory in Afghanistan - not a military victory", by AP, Politico.com. The SECDEF is thinking a victory in Afghanistan is possible by facilitating a Taliban reconciliation with the government. He believes that the Afghan government may be able to 'peel off' those fighters who are tired of the long war. March 13, 2018. "U.S. detecting Taliban interest in Afghan peace talks", Reuters. March 11, 2018. "The Afghan Taliban's Deceptive Peace Initiative", by Marvin G. Weinbaum and Samad Sadri, The National Interest. The author's believe that cautiousness if not cynicism is in order.